If you are looking for a plastic surgeon that you can trust to offer superior results, then reputation matters. It would behoove you to do a little legwork and find out which plastic surgeon enjoys widespread positive word-of-mouth. You would also benefit from reviewing their plastic surgery before and after galleries. In fact, if a surgeon’s website does not include a plastic surgery before and after gallery, that should be an early warning sign. A plastic surgeon who is proud of his or her track record would showcase those results front and center, with a comprehensive plastic surgery before and after gallery like the one found at We Know Beauty, one of the leading plastic surgery medical groups in the world. The reputable group of top plastic surgeons at We Know Beauty bring to the table a diverse set of skills, expertise, and experience. The procedures offered by these plastic surgery specialists range from tummy tucks and breast augmentation to face lifts, comprehensive mommy makeovers, and much more. Their consistently superior results are evident in their plastic surgery before and after photos, which give prospective patients a great sense of what to expect from these talented medical professionals. While plastic surgery has become increasingly safe over the years, with the advent of new cutting-edge technologies and growing pool of exceptional doctors, the specialists at We Know Beauty understand that many patients still have lingering questions about these procedures. That is why these doctors go out of their way to listen attentively to patients’ concerns, and address them one by one with plastic surgery information that will assuage any unnecessary anxiety. 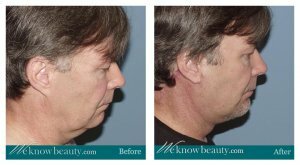 To learn more about the various procedures offered at We Know Beauty, or to get additional information about this team of highly trained specialists, call us directly at 310-300-1500 or visit our consultation page to schedule an appointment.